MEGADETH – WIN VINYL & C.D. COPIES OF ‘DYSTOPIA’! Without a doubt, one of the most anticipated albums of 2016. Megadeth’s “Dystopia” has been gathering momentum like a hurricane, thanks to the tracks the band have already released and the overwhelming response from the global metal media! Overdrive has been sitting on this album since November of last year and we can safely say, that it’s a beast of a record! We are so confident that the new Megadeth album is a winner on every level, that we’re giving them away! Find out more below! 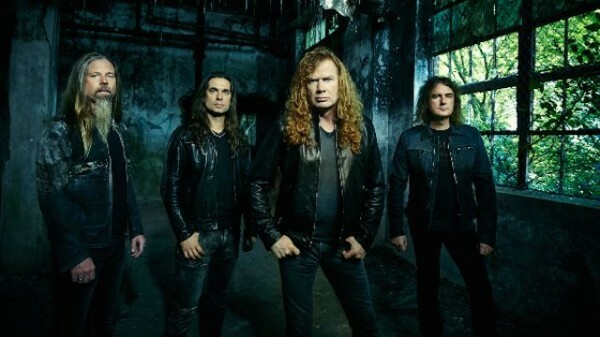 Considered as one of the pioneer bands of the global thrash movement, Megadeth are now entering their 34th year as a recording band and are not showing any signs of slowing down. 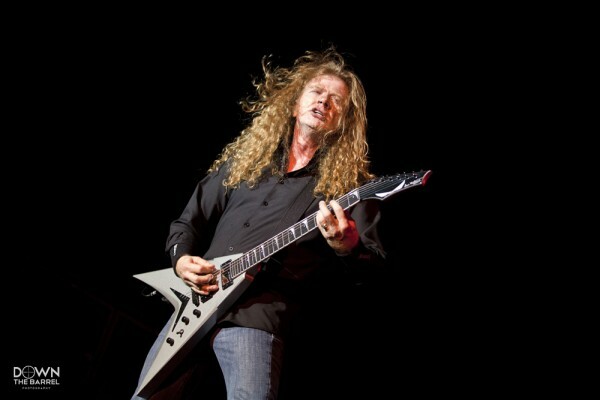 Led by the flame haired, short tempered, front-man and iconic thrash metal legend, Dave Mustaine. Megadeth are back with one of the bands strongest releases since the early 1990’s. A quick visit over to Europe just before Christmas, gave the band some time to blow away the cobwebs and pulled off a flawless performance in Dublin’s 3 Arena. Overdrive had the pleasure of taking with Mr. Mustaine while the band took a few days off prior to the show, where he discussed the recording of “Dystopia” and working with new band members Kiko Loureiro (formally of Angra) and drummer Chris Adler (Lamb of God), you can get that full interview here. The new album is packed full of old school thrash hooks, but with a new approach, thanks to the reinvigorated changes within the ranks and is without out a doubt a sure thing for the top albums of 2016. 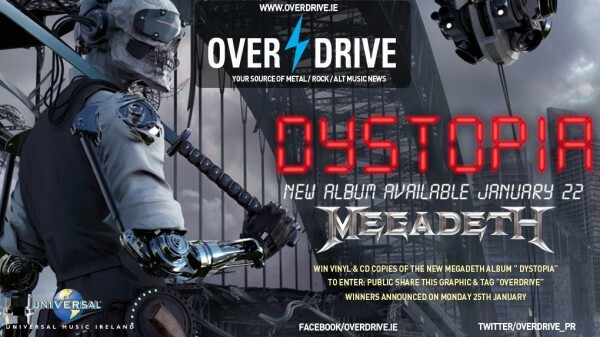 Get the Overdrive track by track review of “Dystopia” on this link and make your own mind up! 1.) Like OVERDRIVE (Facebook) & follow us on Twitter. 3.) Make sure when you click ‘Share’ that the image is set to PUBLIC, so that we can view your entry. You must follow ALL of the above steps for your entry to be valid. We can and will check to ensure your submission counts. If you wish to pre-order your copy of the album, just click this link.